There are virtually as many approaches to training a dog as there are dogs to train! It seems as if every day new systems and techniques are announced or older methods are resurrected. Check a bookstore shelf or do a quick internet search and you will be overwhelmed with the number of ways people may advocate training a dog. Despite the tremendous diversity of methods, almost every successful dog training system is premised on positive reinforcement techniques. The once frequent techniques involving intimidation, humiliation and punishment have long been abandoned in the face of growing proof of their relative ineffectiveness. All of the new, more effective, recommended means of dog training share something else in common: their effectiveness can be enhanced significantly by remembering three simple secrets. We’ve all been told a thousand times “you can’t teach an old dog new tricks.” That popular old saying, of course, is not entirely true. Any dog, regardless of age, can learn new things. However, like most old adages, it has been remembered because it contains a kernel of truth. Dogs, like humans, are much more receptive to learning new behaviors when young. The earlier you are able to start training your dog, the more effective the training will be. Puppies will learn at a much faster clip and do not have ingrained behaviors that must be un-learned. Thus, any training regimen is sure to be more successful when conducted with a puppy for a subject instead of an older dog. If you weren’t able to start training a particular dog when he or she was younger, don’t fret. Training is still effective for older animals. However, if you do have the chance, start training early and you’ll reap the benefits of increased effectiveness. Dogs are social animals and develop a real attachment to their owners. That attachment, in large measure, is at the heart of successful dog training. 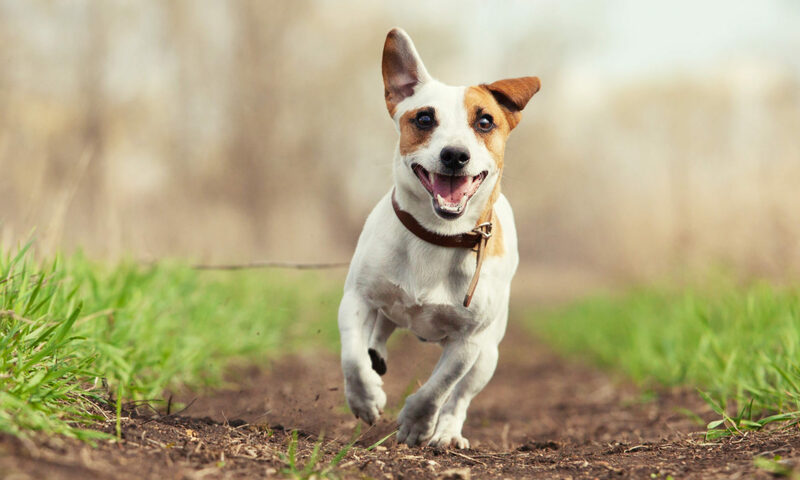 A dog who trusts his owner and who sincerely wants to please his companion is far more likely to remain attentive and compliant during the training process. A failure to act gently jeopardizes the training program by undermining the quality of the dog/owner relationship. Of course, aggressive behavior also runs contrary to the very foundations of most dog training techniques. Dog training is premised on the notion that positive reinforcement techniques best modify dog behavior. The interjection of inconsistent activity frustrates that process. Furthermore, there are ethical and moral concerns about mistreating an animal, in addition to the practical concerns. By making a commitment to retain gentleness throughout the training process one can insure they are consistently treating their dog appropriately. A gentle dog owner will find himself with an ally for a trainee rather than a rival. Instead of a battle of the wills, training can become a cooperative exercise. Under those conditions, training tends to take less time and be far more effective. Too often, training a dog devolves into a series of constant corrections for behaviors the owner finds unsuitable. This reduces the pleasure found in dog training as well as its overall effectiveness. A strong emphasis on preventing inappropriate behavior reduces the need for correction efforts and can help spur quick progress. The basic goal of prevention is to intervene before a problem is created instead of simply responding to the problem. Instead of waiting for the dog to make a mistake to correct, the prevention-minded owner will keep close watch to see imminent difficulties and will intervene early to prevent them from arising in the first place. This technique allows one to avoid spending undue time on correction and to emphasize real positively reinforced training methods, keeping a program on track and accelerating its successes. It also decreases frustration throughout the training process making it more enjoyable for both the dog and the owner. Although there is a multitude of training strategies form which one can choose, all of them can have their effectiveness increased by adhering to the aforementioned principles. By starting early, remaining gentle and emphasizing prevention, any reasonable method of dog training can garner better results. These three secrets, if always operating in the background, serve to push the effectiveness of any training technique.